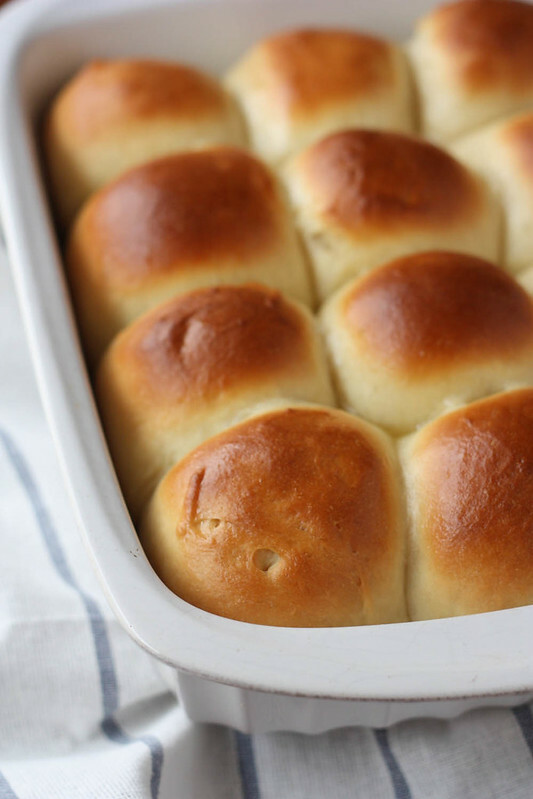 Simple, tender, and delicious white dinner rolls, a great accompaniment to any meal! This is not the first time I’ve made rolls. I’ve made so many, and some of them have been pretty good and some have not. I’ve baked my fair share of rolls that were so dense they’d go straight to the bottom if you chucked them into the sea, which is probably what you’d want to do if I ever tried to feed you one. 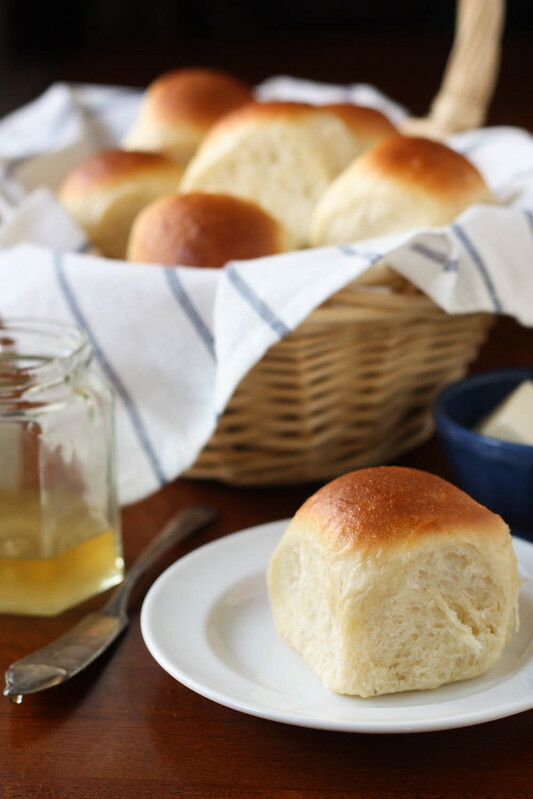 I’ve never been able to bake that perfect dinner roll with a soft, delicate, and airy texture. At least not one that I’ve been completely satisfied with and proud of. Until now. 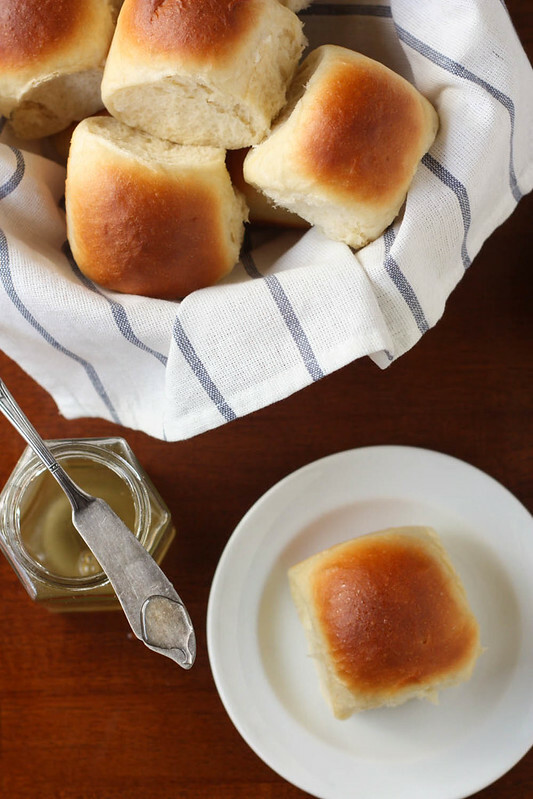 These rolls were so easy to make, and so easy to do well. I spent some time studying the instructions, browsing tips from Red Star Yeast and attempting to remember lessons learned in culinary school years ago. I think it was the extra effort and awareness that really made the difference with this batch. The result? 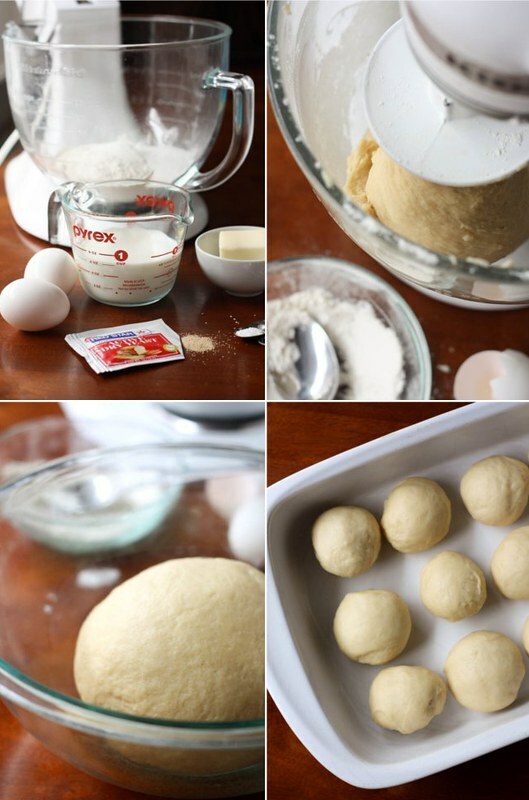 Perfect, delicious dinner rolls that rival anything your neighborhood bakery sells. Rolls that would be a lovely accompaniment to any meal. 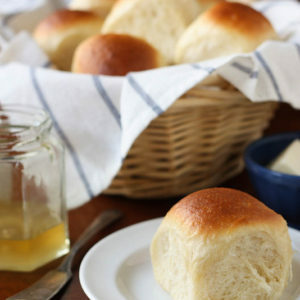 Simple and delicious white rolls, a great accompaniment to any meal. In a small saucepan over medium heat, heat the milk and butter just until the butter is melted. Remove from heat and let sit for 5 minutes (temperature should be 120-140 degrees F). Shape dough into a ball and place in a greased bowl, rolling the top in the butter or oil to grease it as well. Cover with plastic wrap or a towel and place in a warm place to rise until doubled in size, about one hour. Punch down the dough and divide the dough into 4 equal pieces. Divide each of those pieces into 3 smaller pieces. Shape into rounds and place in a greased 9x13-inch baking dish. Cover with plastic wrap or a towel and let rise again until an indentation remains when lightly pressed with your finger, about 30-45 minutes. Preheat oven to 375 degrees F. Bake until golden brown on top, about 20-25 minutes. Melt the butter and honey together. Brush on to tops of rolls immediately when they come out of the oven. Adapted from Red Star Yeast. Disclaimer: This post is sponsored by Red Star Yeast. All opinions are my own. Yeast can be friend or foe. These rolls look perfect. Lovely post. Excited for this series. I love that you’re venturing outside of your comfort zone. It looks as thought it’s worked out VERY well for you so far. Those rolls are gorgeous! Not sure if I’ve ever seen such perfect rolls! I must try your recipe. My only roll experience turned into small bricks that would be better weapons than Thanksgiving bread. 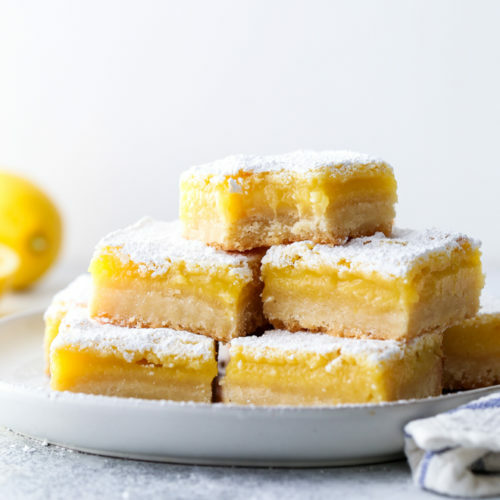 I love the recipe but i believe the directions are off a bit as i am reading the recipe you say to heat the milk and butter together until the butter melts then to set aside to cool.but you don’t say when to add it in the mixer to incorporate the mixture. Hi Courtney, sorry for the mistake. I’ve fixed the instructions now. I am also wondering at what point do you add the milk/butter to the mix? Oops! I’ve fixed the recipe. Thanks for catching my mistake! Can you believe I went to a school where they made these in the cafeteria every day for our lunch? I don’t think kids are that lucky these days. Woohoo! Bread and cookies are my very favorite baking things so I’m excited to see more bread recipes coming. These are beautiful and so rich-looking. I’ll bet they were gone in a flash. I’m bookmarking this recipe for sure. Also, don’t be too critical with yourself about previous yeast bricks. 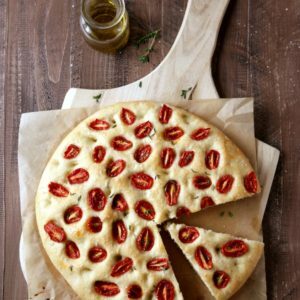 There is a certain amount of practice and getting a feel for yeast dough, but frankly some recipes are just duds. I’m sure you’re more aware of this than anyone with all the baking and cooking you do, but a lot of times it’s just a matter of finding a recipe you’re happy with. You’ve clearly got the hang of yeast baking now! Well done! Hi Annalise, do you knead the dough with your mixer or by hand? Hi Megan!! I knead it with the mixer. You can do it by hand, it will just take longer. Wonderful! 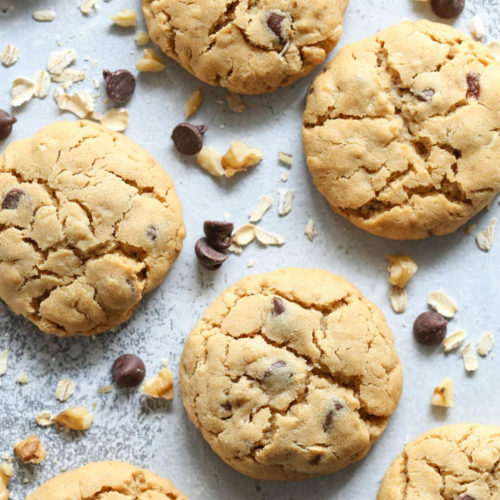 Love the idea of using a little whole wheat flour, I’ll have to give that a try too. Hi love your blog!! i already pinned a few recipes hope to start making something soon. question, if I don’t have bread flour can I use regular flour? You can use all-purpose flour, though it will affect the bread structure and texture. Not sure how much in this particular recipe, though. You might be fine. 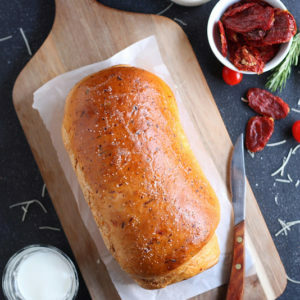 Bread flour is best for yeast breads as it has the highest amount of proteins which form gluten, trap the carbon dioxide in the dough, and help it rise. I just try your recipe and I love it ! tks so much for all thoses beautiful recipes. I just made these rolls and wow!!! Soon delicious!!! They rose so big and fat!!! Thanks for sharing the recipe and baking tips!! Quick Question!! do you think this recipe would double well? 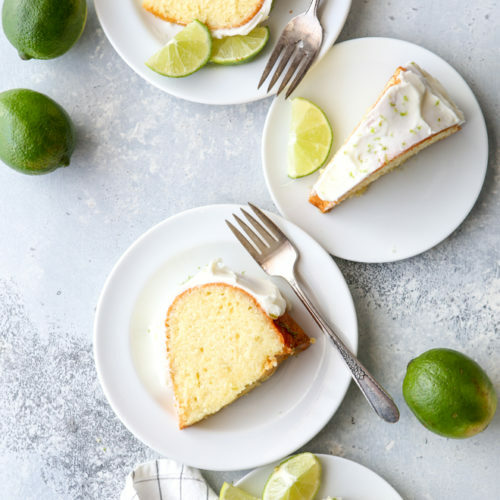 Planning on making these for a family dinner and i don’t think 12 will be enough! I’m just not sure if doubling it would effect to rising time, kneading time, etc. Hi, what brand of flour do you use?? Does it say bread flour on the bag? I most often use Gold Medal Bread Flour, and yes it is labeled on the package. Tried this recipe and nailed it,I gotta try is again during the weekend,is it okay if I make the dough and leave it overnight? Thanks for the recipe. 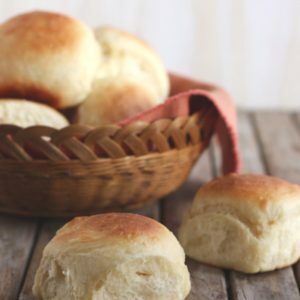 We’re an American family living in Romania, and while the bread here is delicious, sometimes we miss American rolls like these. Will try the recipe this week! Made these for thanksgiving and they turned out great! Hi Annalise, can you tell me what kind of milk you used? Thanks! I usually use whole milk, but any percent will work just fine. I made these for to go along with a 1948 themed cold buffet at a murder mystery party I hosted with 24 guests. Everyone loved them! I tripled the recipe and it made 36 good sized dinner rolls. I left it longer than stated in a warm room at each prove mainly because of the schedule of getting everything ready on the day but the dough definitely doubled in size at each prove for me which was very exciting and I think made for a very nice textured roll. Mmm I hope to make these again. Yes, you can refrigerate the shaped rolls overnight. Wrap tightly in plastic and let come to room temp for about an hour before baking. Hope this helps!